Item # 280530 Stash Points: 14,397 (?) This is the number of points you get in The Zumiez Stash for purchasing this item. Stash points are redeemable for exclusive rewards only available to Zumiez Stash members. To redeem your points check out the rewards catalog on thestash.zumiez.com. Bring on the cold weather and the snowy steeps. 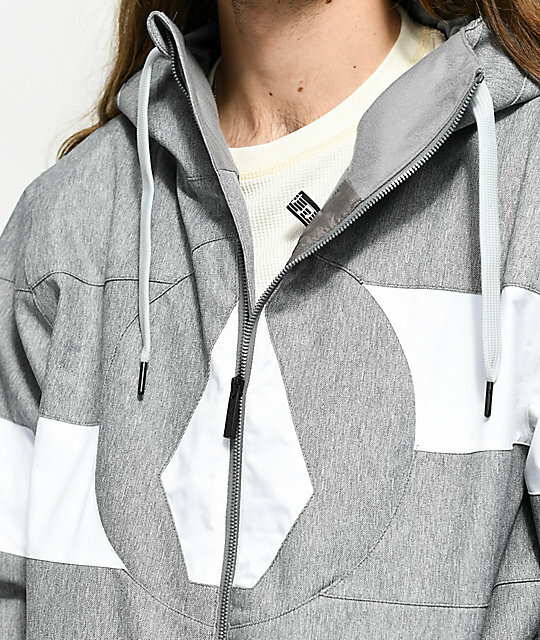 With the Hal snowboard jacket from Volcom on your back, you will be prepared to rip through any weather Mother Nature decides to blow your way while attacking the powdery slopes. 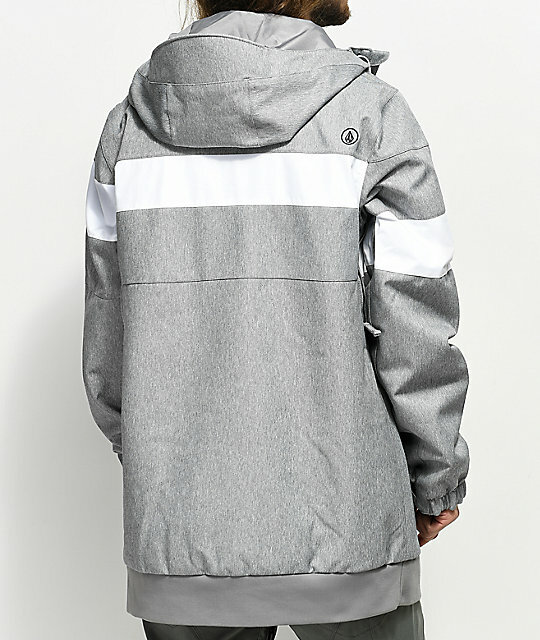 Featuring 10,00mm of waterproofing to stay dry and a 10,000 g/m2 breathability rating to stay comfortable, this snowboard jacket is also complete with Volcom's Zip Tech® jacket to pant interface so you can connect your pants to your jacket to keep the cold snow out. 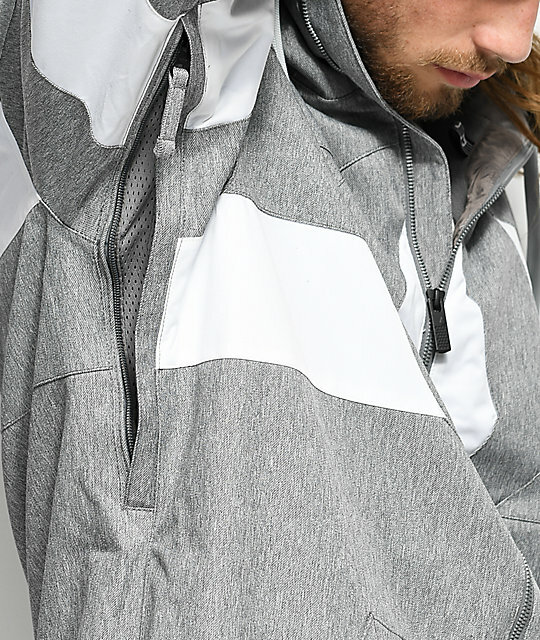 Finished with a cozy fleece lining, super suede chin guard, lined handwarmer pockets for warmth and a whistle for a zipper pull for emergencies, this coat will allow you to shred the white bliss while keeping you warm and dry. 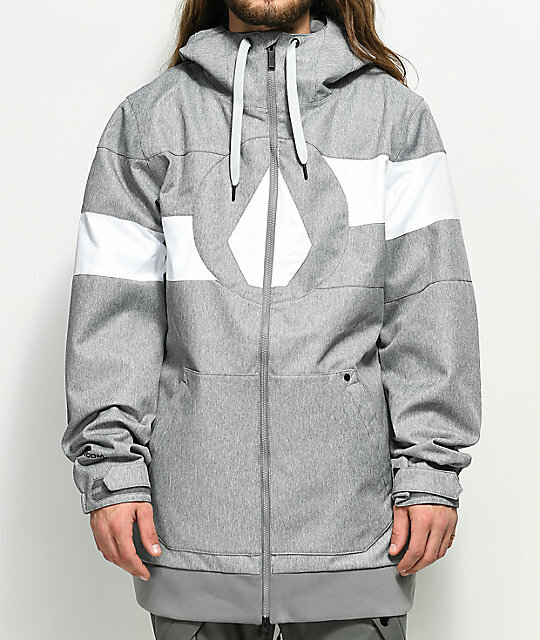 Hal Heather Grey 10K Snowboard Jacket from Volcom. 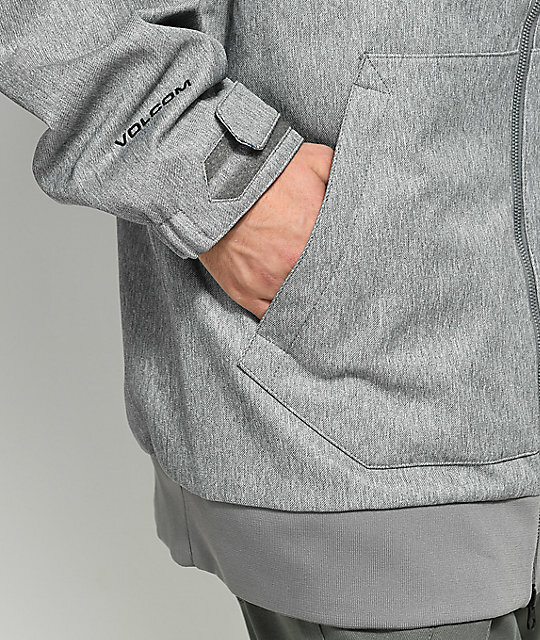 V-Science 2-Layer Champion Stretch Twill. Waterproof rating 10,000 mm: Very resistant to moisture, best for light-moderate rain or moderate-heavy snowfall in drier colder climates. Breathability 10,000 g/m2: Great moisture & temperature management. 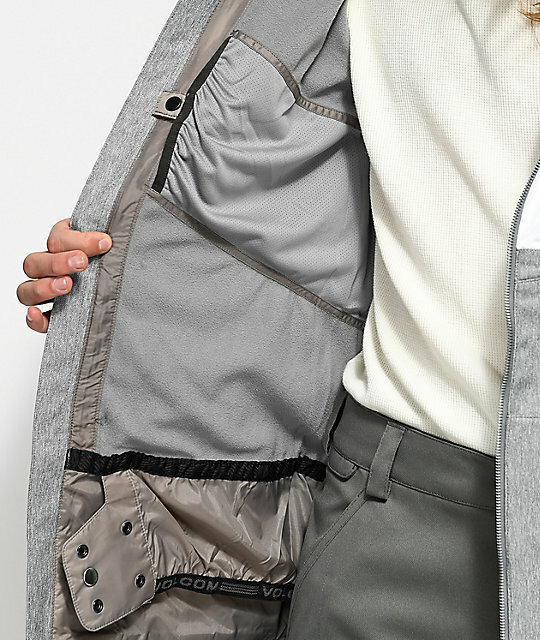 Athletic Fit: A slightly longer, progressive fit featuring a gathered hem. Heather grey w/ solid white stripes and Volcom Stone at chest. Zip Tech®: Jacket connects to pants featuring interface technology to trap out snow. Critically-Taped Seams: Seams are reinforced with a thin waterproof rubber backing to keep moisture out. Fleece lining for warmth & softness. Mesh lined zip pit vents. 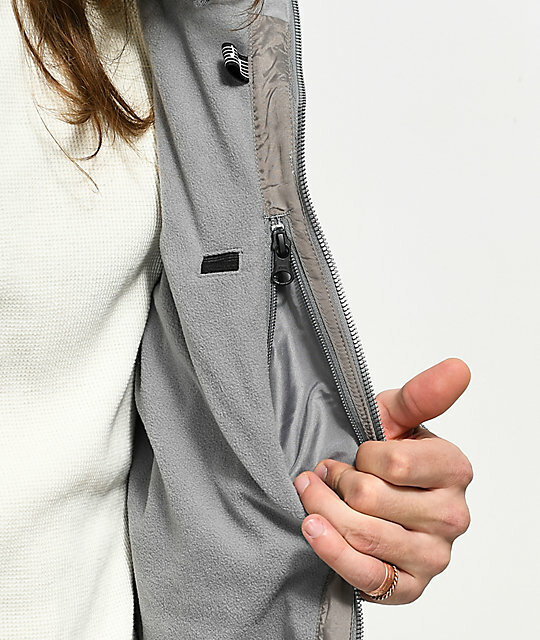 Brushed tricot-lined handwarmer zip pockets. Super (faux) Suede chin guard. 2-way center front zipper w/ whistle zip pull. Adjustable hood with built in bill. V-Science two way cuff system: Partial elastic cuff with hook and loop closure.